Despite their fierce regular-season rivalry, the Thorns and Reign will be meeting for the first time in the playoffs on Saturday. The first match of the 2018 National Women's Soccer League playoffs will take place at 3:00 p.m. ET on Saturday when Portland Thorns FC hosts Seattle Reign FC. The Thorns earned this home playoff game by beating the Reign 3-1 on the last weekend of the regular season. The geographic closeness of the teams helps bolster their rivalry and will add to the enthusiasm come kickoff on Saturday. Last Friday, Seattle's Jess Fishlock scored the lone goal for the Reign while Tobin Heath scored once and Lindsey Horan scored a brace. Seattle had won the first two meetings of the season between these two teams. The NWSL always picks the location of the championship game in advance, and this season it will be held in Portland, OR at Providence Park. Thanks to Hurricane Florence, all three playoff games will be held in Portland this year, so the Thorns will be extra motivated to win their semifinal match. After winning the 2017 Championship Game, Portland started their 2018 season slow. They added a lot of new players during the offseason, and the new personnel combined with injuries and international duty meant that the team was slow to gel. Once they finally got going, though, they caught fire and turned into one of the strongest teams in the league. Horan is a frontrunner in the race for the 2018 MVP award after scoring 13 goals this year, and Heath was second in the league in assists with seven. Heath and Horan have built a dynamic relationship on the front line, and both players are capable of tearing apart defenses individually or in combination. The injury to Hayley Raso a few weeks back took away some of the speed from their attack, but forward Christine Sinclair is still a dominant offensive presence. Portland's 40 goals were second best in the league this year. The defense took a step back in 2018. With injuries to key defenders and reigning Goalkeeper of the Year Adrianna Franch, the squad that allowed just 20 goals in 2017 was scored on 28 times in 2018. This mark came in right at the league average, but fellow playoff teams from Seattle and North Carolina allowed 18 and 17 goals respectively this year. 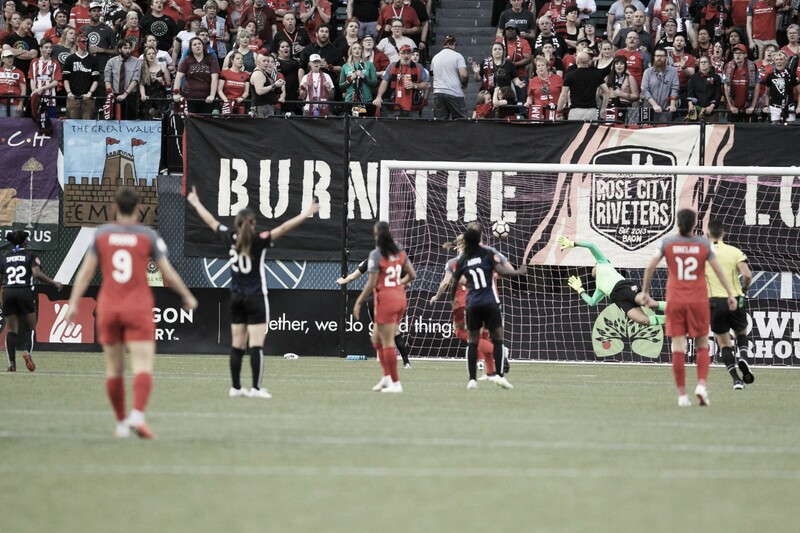 This match will definitely be a battle of different philosophies, and the Thorns shouldn't get complacent after their commanding win just eight days ago. The defense will need to come up big against Seattle's stifling defense. Four weeks ago it seemed certain that Seattle would be hosting this match, but draws with the Chicago Red Stars and North Carolina Courage and the loss to Portland in the final game robbed them of that opportunity. The offense for Seattle has been extremely lackluster this season. Midfielder Jess Fishlock and forward Jodie Taylor have been struggling to generate much offense with Megan Rapinoe and Allie Long injured, but Seattle should have both of those players back for the semifinal match. While their three playoff competitors have scored 53, 40, and 38 goals this year, Seattle has scored only 27. With most of the team projected to be healthy for the playoffs, Seattle is hoping to get back to the early-season magic that saw them top Portland in their first two meetings of the year. The defense, on the other hand, has been phenomenal. They tied the record for most shutouts in a season, and they were on track to set the record for least goals against before they allowed three goals in the final match of the season. Goalkeeper Lydia Williams has been playing out of her mind this year, and the centerback pairing of Megan Oyster and Lauren Barnes have been two of the best in the league. They will need to play tight and close down on Heath and Horan if they want to have a chance of earning a place in the finals. This match will kick off at 3:00 p.m. ET at Providence Park in Portland, OR. The game will be broadcast on LifeTime in the United States and will be available on NWSLsoccer.com internationally.